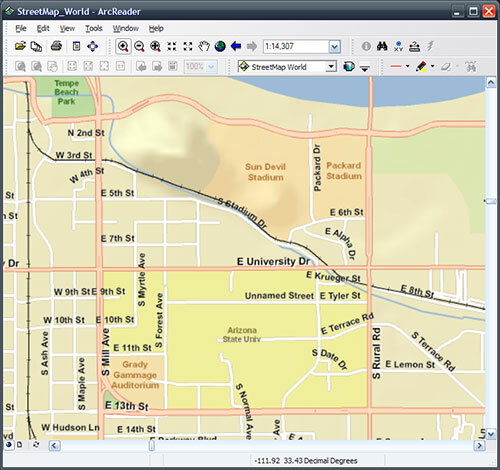 If you’d like to view some of the ArcGIS Online services, but don’t have or want to use ArcGIS Explorer, you can also use ArcGIS Reader (you’ll see the published map files or pmf’s). The download page for ArcReader is here, but I don’t see 9.2 posted yet. Must be some sort of disconnect at ESRI with ArcReader 9.2 being available.